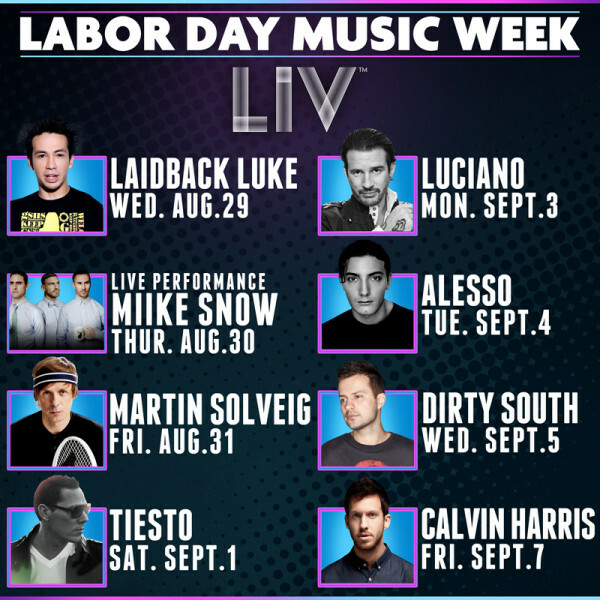 Here is the Labor Day Music Week event lineup at LIV Nightclub in Miami. What a F*cking lineup!! Tiesto, Alesso, Calvin, Laidback Luke! Get all your tickets to access LIV here. Make sure you get your tickets and get access to the worlds best nightclub! It's going to be an unforgettable weekend! Click Here for Tickets.